Division of 'Man Without Qualities' into volumes has created confusion about combining works. (ger)Division of 'Man Without Qualities' into volumes has created confusion about combining works. Robert Musil, The Confusions of Young Törless. Robert Musil is currently considered a "single author." If one or more works are by a distinct, homonymous authors, go ahead and split the author. 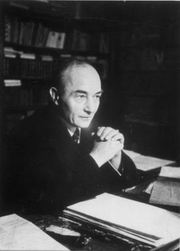 Robert Musil is composed of 12 names. You can examine and separate out names.